At 10:30 am, the Dow dropped 0.13 percent to 18,014.88, the broader Standard & Poor's 500 index moved down 0.08 percent to 2,106.34 and the NASDAQ composite index fell 0.05 percent to 5,032.83. Auto Parts Stores: This industry rose 2.3 percent by 10:30 am ET. The top performer in this industry was O'Reilly Automotive Inc (NASDAQ: ORLY), which gained 5.3 percent. O'Reilly Automotive reported better-than-expected results for the first quarter. Sporting Goods Stores: This industry moved up 2.1 percent by 10:30 am. The top performer in this industry was Cabelas Inc (NYSE: CAB), which gained 6.2 percent. Cabelas reported upbeat Q1 results and announced a share repurchase. Industrial Electrical Equipment: The industry gained 1.8 percent by 10:30 am. The top performer in this industry was Nidec Corporation (ADR) (NYSE: NJ), which gained 10.3 percent. Nidec shares have jumped 13.56 percent over the past 52 weeks, while the S&P 500 index has gained 12.21 percent in the same period. Processing Systems & Products: This industry jumped 1.2 percent by 10:30 am. The top performer in this industry was Corelogic Inc (NYSE: CLGX), which rose 5.3 percent. Corelogic reported stronger-than-expected Q1 results. 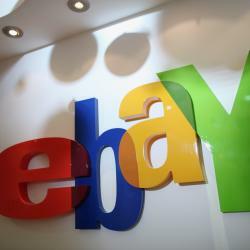 EBay Or PayPal: Which One To Invest In After The Spinoff?